Metallurgist are involved from the very beginning of the steelmaking process. Metallurgy is the study of the physical and chemical behavior of metals and their alloys. It involves the extraction, alloying and production of the metallic elements and combining them into a usable form. Metallurgist are vital to every phase of the steelmaking process. They develop the processes used to extract the elements from the ores to get the elements into a usable form. Metallurgists combine the elements into an alloy during the steel making process, and they even explain the benefits of the elements in the alloy to the end-user so that they may understand their advantages during use. Metallurgy encompasses every aspect of the steelmaking process from the very beginning to the very end, even through the recycling stage. In this article, we will concentrate on the careers in metallurgy that are important to the tool steel industry. The three arms of metallurgy that are vital to the tool steel industry are: research, process and product metallurgy. 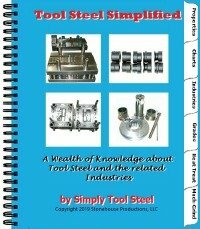 Each one plays a very different but critical role in the development, production and sale of tool steel.